Happy January everyone, I hope the new year is treating you all well. With a new year comes new subscription boxes including my first Birchbox of the year. They seem to have gone with a happy vibe theme for this months box with a bright and cheerful box design which is in a drawer format; I am still absolutely loving this design for storage. 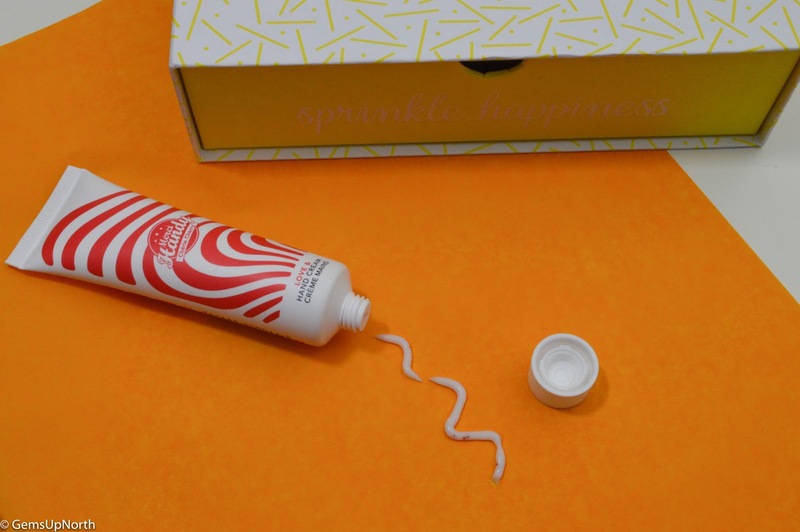 The yellow pull out drawer features the words "Sprinkle Happiness" on the front and the outer box is filled with a subtle yellow Geo-print; it all looks very fresh and welcoming. Inside January's box are 5 beauty treats and 2 of them are full size. The composition of the box is quite level having an item from each category; makeup, skin care, body care and hair care. I do personally prefer more makeup items but it's nice to find new discoveries in other products too. I was happy to see a Lord & Berry item in this months box because they are a brand I use regularly. This Conceal-It Crayon is a new product for me and a Birchbox exclusive. The size of the crayon is perfect for popping into your handbag for on the go makeup top-ups; you also need no tools to apply it so it really is great for your handbag. I particularly like this concealer for the simplicity of it, you can apply it straight to face and blend in with your fingertip, a brush can also be used but isn't needed. 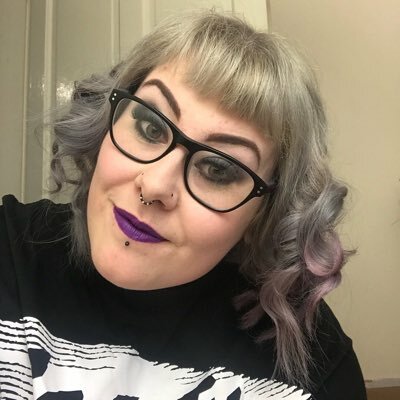 This shade 'beige' is a good match for my pale skin tone and blends in really easily and seamlessly, I've also used this crayon to highlight my brow bone, upper lip and inner eyes. I will definitely be keeping this conceal-it crayon handy. I already knew about this brand being in my Birchbox this month from the sneak peeks earlier in the month. After receiving a hand sanitiser from Merci handy in a previous Birchbox I've been a fan of the brand; luckily I can pick up Merci Handy products in Topshop now. The product featured this month is a hand cream, I received the Cherry scent which I was hoping for, it smells beautiful and is such a smooth consistency. Only a small amount of the cream is needed to cover both my hands and soak in nicely, the scent stays on my hands for ages too which is a plus. I would of liked a cap on the tube other than a screw top lid as I drop things a lot but other than that I am really impressed with the hand cream and Merci Handy altogether! The sample I received of this Ren mask seemed very empty as the tube was thin however it was sealed, I emailed Birchbox about this and they sent me another sample but this was the same. I opened one of the samples and there was a very small amount in the tube which didn't cover my whole face; it also didn't have a very pleasant scent to it. I was concerned the product might of gone off because of the smell so washed the mask straight off, the gel formula was a yellow like colour and wasn't smooth either. I would have to sample more from Ren to be convinced with the brand as from this experience I'm not liking the product quality. I was told to use clarifying shampoo when I wanted to get my hair from dark to light so now my hair is blonde I'm not sure I need to use it, correct me if I'm wrong as I don't know much about this sort of product. It smells quite fresh and doesn't seem to be too thick or too thin, the consistency looks spot on. I haven't used this sample as I didn't know if it would be suitable for my hair. I shall be giving this to my mum as she is wanting to get her hair from dark to light like I did. Nails Inc polishes are really good quality and I first sampled them through my Birchbox last July where I received a summer pastel shade. Although these mini sample bottles don't last very long, it is a good way to try out the shade a couple of times to check you like it. This month I received a glittery red shade from the Galaxy range, it's a little Christmasy so might of been better in last months box however I'm loving glitter makeup and such right now so I have wore this polish once since receiving my Birchbox. The polish lasted just under a week before I had to remove it, I always apply a coat top over any polish to prolong the wear and applying two coats of the colour always helps to give a full look. With this polish being glittery I found applying a base coat, then using a sponge to put the glitter polish on worked fabulously. At the very end of the in-box leaflet which has had a revamp and is more of a pull down booklet was next months sneak peak and its so exciting!!! Spectrum Collections will be in February's box and from the image used I am hoping it's a Marbleous brush since I don't have any of the white brushes in my collection. 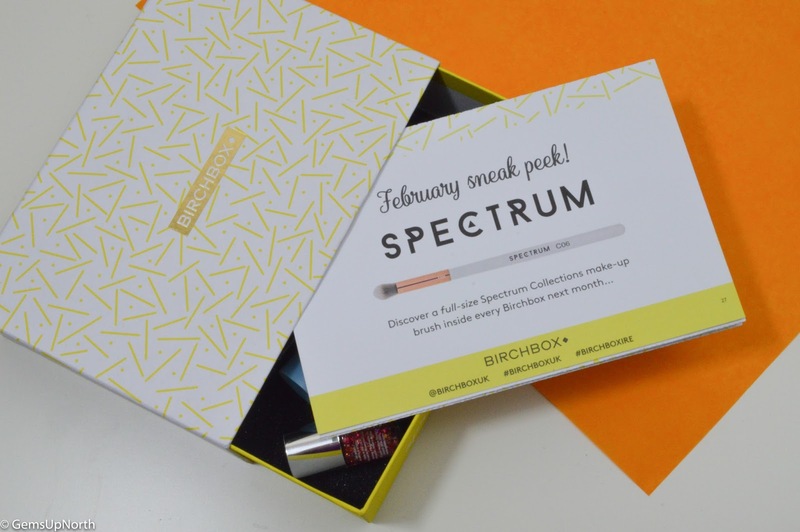 Spectrum was also featured last February in Birchbox which you can read about here. Roll on next month and if you want to sign up you can do so here using my referral link also gives you £5.00 to spend in the Birchbox shop.